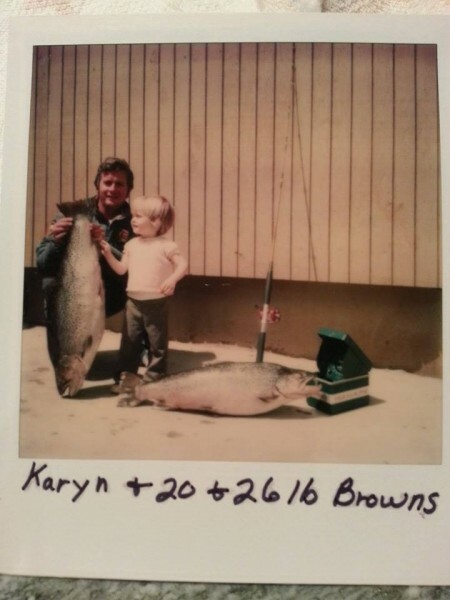 TrophyTroutGuide.com - Brown Trout/How about 2 browns over 20 LB. in one week!! Jim Bringhurst caught them from Flaming Gorge back in the 70's. Daughter Karyn looks on.